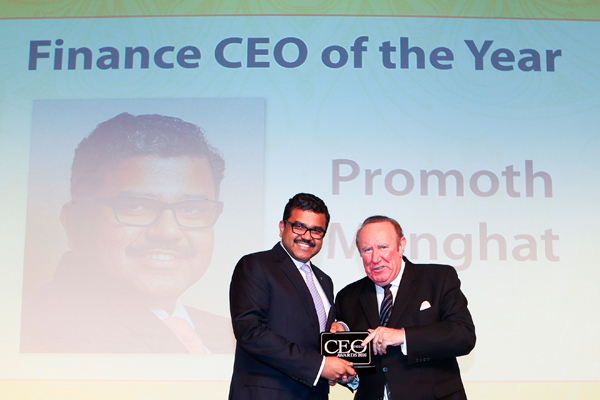 The UAE Exchange's chief has been named the 'Finance CEO of the Year' at the Indian CEO Awards 2016, in recognition for business excellence and his achievements over the course of the past year. Promoth Manghat received the award for his outstanding contributions in the progress of UAE Exchange, said a statement. He has been instrumental in introducing various transformational processes in the organisation and instilled a passion for excellence in its culture, transforming the remittance brand into a global entity with high quality standards, it said. Promoth had also led that core team, which enabled the group to acquire Travelex, the global foreign exchange specialist. The entire deal, including finance, obtaining approvals from multiple regulators from various countries etc., was completed in a matter of few months.